I've recently finished 3 cases for Snohomish County Medical Examiner's Office in Washington. This is the information on the cases. 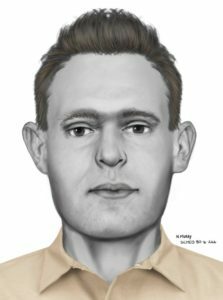 This victim was found in Yost Park Edmonds in November 2018. This surveillance photo was taken of him a couple of weeks before he was found, but was insufficient for identification. He was a white male 40 to 65 yoa, 5'9", 145 lbs with gray hair. He was wearing several layers of clothing that was clean and in good condition. He wore a dark Boeing jacket with a red stamp-like logo on the left breast pocket that reads "100 percent committed" and "FOD Free", a size XXL vest, a size L UW sweater, a small light blue tshirt for the job search site Indeed, and jeans. This victim was found floating in the Snohomish River in June 1980. He was a white male, 20 to 40 yoa. He was about 5'6", about 130 to 140 lbs. His hair was probably brown. He was wearing a tan short sleeved cotton shirt buttoned in the front, a white cotton knit undershirt or tshirt, HealthKnit brand, size 42-44, and blue swim trunks with white stripes on the side. A pair of tan "Big Mac" overalls were found tangled with him. This victim was found floating by Parker Reef between Orcas Island and the Sucia Islands in 2009. He was a white male 20 to 50 yoa, 5'10" and 170 lbs with brown hair. 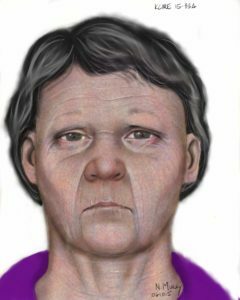 I recently completed a 2D reconstruction from unidentified remains for this Skagit County case. 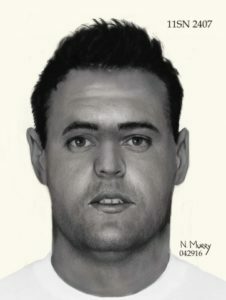 The victim was found in 1998 about 14 miles north of Burlington WA off Highway 11. He was wearing this jacket and similar sunglasses. He was also wearing a red, blue, and gray plaid shirt and Levi's. He was about 5'04" to 5'06" and 20 to 30 yoa. 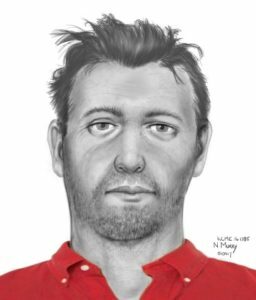 Contact Skagit County Coroner or Skagit County Sheriff's Office if you have any leads on who he might be. 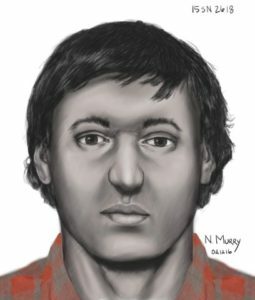 The Everett Herald posted an article on Sunday about this case that I reconstructed in September. 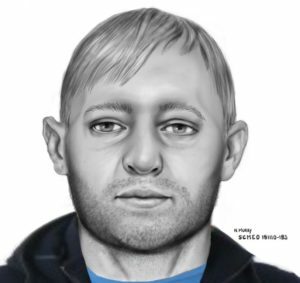 The photos of the possible victim are a good match with proportions, the nose, the mouth, the chin and face shape. The hair color and style were just a lucky happenstance, I'm afraid. Snohomish County is attempting to get medical records to match this victim to these remains now. 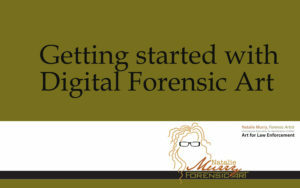 I continue to get questions through this website from forensic artists who want to know where they can learn to use digital tools in their work. I found there are still no other artists teaching this subject, and no books about it. I expanded my original workshop handout that I'd written for my Digital Composite and Digital Postmortem workshops from 28 pages to about 270 pages, and I'm happy to say it will be published in June 2018 by CRC Press, a division of Taylor Francis Publishing. The book is a step-by-step guide with many illustrations to help artists learn to use the hardware and software to transition to working digitally. There are chapters on drawing composites, postmortem drawings, and reconstructions. This is not a book for beginning artists who want to learn about the field, but instead is specific to the subject of drawing digitally. My webinar with Corel is in two weeks. 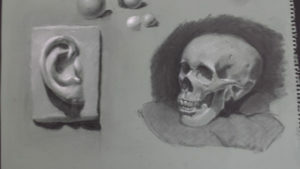 I'll demonstrate how I do a 2D reconstruction on a skull with Painter, and talk about skulls in general. 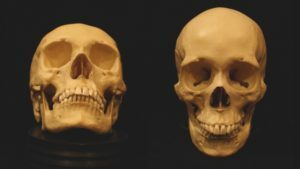 I'll have material on standby in case artists are interested in the differences between skulls or in seeing the details on skulls that fascinate me, but we'll have to play that part by ear. The focus is on the software and how it works for my process. I recently drew this case for Snohomish County Medical Examiner's Office. 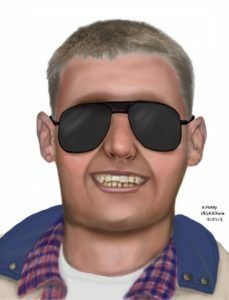 In January 1978, a citizen found human skeletal remains in a field in Snohomish County. This was a rural area with scattered houses at the time. The complete skeleton was not located. The victim is a white male under 40 years of age, unknown height and weight. It is unknown the color or length of the hair, that is conjecture on the part of the artist. The features are, as always, dictated by the skull. Corel has asked me to be their Artist of the month for November. I'm honored, as they normally focus on animation and gamer art. They also feature more fine artists of course, but I'm their first forensic artist. I'll be putting together some material for a webinar and hope to make it an interesting change of pace for their artist audience. In January, I was asked to do an age progression for a TV show in Lebanon. The missing child was three when she was taken while playing outside and would now be fourteen. I was given some photographs of the child, her siblings, and parents. The photos are, like most family photos, not optimal for age progression purposes. I'd like photos where the person is facing straight on to the camera with good lighting and a high pixel count but you work with what you get. After I did the digital drawing, the producer asked for a description of how the work is done. They've not had a forensic artist in Lebanon before, and they were interested in how the process works. They asked for video of the digital work and a Skype interview to help bring attention to the case. The show garnered great ratings and they received many calls on possible leads for the case. This past summer I was asked to use my forensic art knowledge and skills in a new way. It was not a reconstruction from a skull of a deceased person, but a reconstruction of a living person. I was contacted by a young man who was planning on extensive cosmetic surgery to change his appearance, and he wanted a forensic artist to show him how those changes might appear before he went through the surgeries. He had seen some cosmetic surgeons and already had CT scans of his skull and definite ideas on the changes he wanted made to his face. He came to me with these scans and some photos of features he hoped to have. His genetic background is middle Eastern Egyptian/Yemeni on one side and central Asian Uzbekistan on the other. He has epicanthic folds on his eyes, which is commonly an Asian feature. He wanted to remove these to have more of a European eye. He wants cheek implants and a nose job so his nose is longer and less turned up. He wants his jawline more defined. Altogether, he’d like a more traditionally masculine face than how he appears currently. I did anterior, three quarter, and lateral drawings from the photographs he had taken by Hunts Photo and Video. This is the finished image of the three quarter view drawing side by side with the original photo. This is the last reconstruction case I prepared and photographed in December at the King County Medical Examiner's Office. This victim was found at a homeless camp on Capital Hill. He's a white male 30 to 60 years of age, but probably toward the lower end of that range. There was no mandible with these remains, only the cranium. A reconstruction in this type of case involves a certain amount of conjecture to recreate an average mandible. The artist has to go with the odds and assume an average size and shape for the missing part. If this subject had an especially large or small jaw, the drawing will not look much like him in the lower part of the face. Keeping in mind where this subject was found, I assume he probably was unable to shave regularly. I added a beard to his face to somewhat disguise the unknown jawline. This is the fourth reconstruction from the group I prepped in December at the King County Medical Examiner's Office. It's a Kitsap County case. A white male 40 to 65 years of age. He's got a lot of antemortem tooth loss with re-absorption indicating the teeth have been gone for some time. In that case, the artist will usually draw the reconstruction with an open mouth, as the tooth loss would have been a recognizable feature. I am showing his actual teeth underneath the sketch. This man had an asymmetrical face, his left eye was higher than his right. 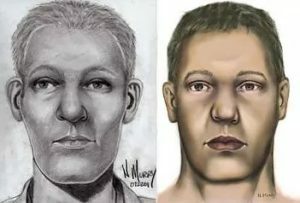 As is often the case, the other features on his face tied in with that asymmetry, the nostril and lips were also higher on the left side of his face. 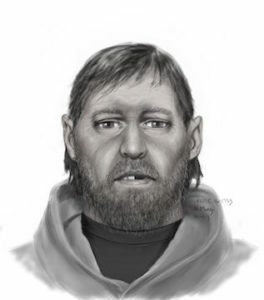 The circumstances of the case indicated this victim was possibly homeless, so I drew him with facial hair and a large coat. The good news is that I sent this out to Kitsap County last week. 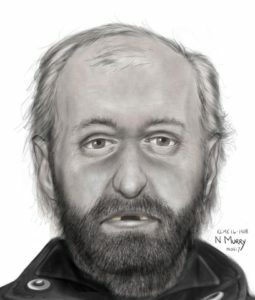 I heard back today that they think they're getting close to identifying him with help from this drawing. 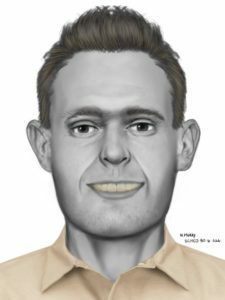 The Wahkiakum County Coroner’s Office has released new information about the unidentified human remains discovered on the shore of the Columbia River last June, including a reconstruction of the man’s face by forensic artist Natalie Murry. 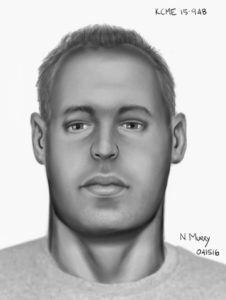 • He was male, Caucasian, probably within a few inches of 5’8” tall, and anywhere between 30-60 years old (though there are circumstantial indications that the decedent was of middle age or older). 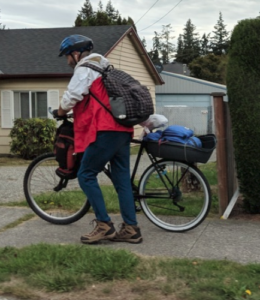 • He was dressed for the outdoors in Vibram-soled boots (size 10), a red button-down shirt, Levi’s jeans (38-inch waist, 32-inch inseam), and black rain pants. • He was carrying a microfiber optical lens cleaning cloth that had an advertisement for a West Seattle optometrist’s office printed on it. • He probably did not die where his remains were found. Instead he could have disappeared in any area that contains water that feeds into the Columbia River, whether in Washington or Oregon. He is most likely to have gone missing somewhere between the west side of Cascade Locks and the eastern part of Wahkiakum County. 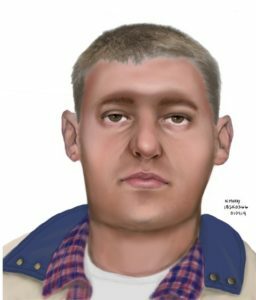 Anyone with information that may lead to the identification of this decedent is urged to contact Wahkiakum County Prosecutor/Coroner Dan Bigelow at (360) 795-3652 or by email at dbigelow@waprosecutors.org. 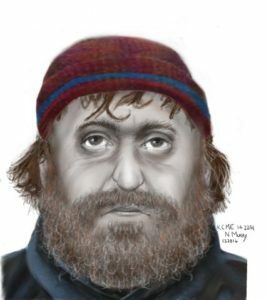 UPDATE 011317 This subject was identified through a Cold DNA match as Richard Arneson, missing from the Seattle area since February 2016. He was 62 years of age when he went missing. In the drawing, I went with an age closer to 40 because of his dental condition. 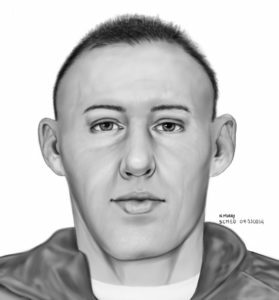 The photographs of this victim show the asymmetrical nature of his mandible and mouth as shown in my drawing. I think adding another 20 years would have been a pretty good hit. The second case from King County Medical Examiner's Office that I finished was one from the Northeastern-most county in Washington, Pend Oreille. This was an interesting case as the cranium was unusually misshapen. Dr. Taylor advised the victim was a white male possibly in his 50s who had been found in a sleeping bag under a tree. He appeared to be homeless. I spoke with the deputy who had investigated the case initially and got more information about the scene and from the autopsy that enabled me to be more specific about head and facial hair and clothing. Dr. Taylor also pointed out other abnormalities on the bones of this victim that showed he had lived with a great deal of pain for some time, so I tried to portray that in his face when doing the reconstruction. His cranium flared forward a bit on the left side of his face and back a bit on the right, and one side of the back of his head was flattened. As with most people, his face wasn't symmetrical. One nostril was considerably higher than the other. He had very pronounced gonial flare on both sides of his mandible. In December, I went to the King County Medical Examiner's Office in Seattle and photographed five more cases from around the state. As always, each had their individual challenges and interesting details. The first case was a female found recently off Highway 18 in King County. My fantastic forensic anthropologist, Dr. Kathy Taylor, advised this subject was a mixed race female possibly in her early twenties. 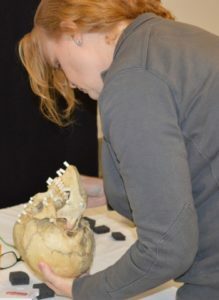 Examining the skull, I saw her facial features appeared mostly typically European-derived with the exception of her nasal sill, which was slightly guttered, indicating African-derived. Dr. Taylor pointed out the length of the cranium when viewed in profile is that resembling an African-derived skull. Dr. Taylor thought this female might self-identify as black although her features may appear more typically white. She asked that I draw two versions of the victim, one as a white female and one as a light-skinned black female. This victim also had a maxillary central incisor that had been missing long enough for the bone to have healed over, so I showed her with an open mouth to show that missing tooth. I’ve started putting together a few videos to help other police artists who may be thinking of starting to draw digitally. I'm often asked about the process, so maybe this will give some answers. Of course this is just the process that I use. Other artists do things differently with both hardware and software, but it'll show those just beginning to work digitally some basic methods and resources. I’m posting this case without identifying the agency or state where the incidents took place, as the agency is not publishing these drawings and the case is still open. I did two drawings in a week in August for this case. The detective sergeant called me to advise they'd had a homeless person shot and killed one night. The following night, a second homeless person was shot and killed. The second victim had been a witness to the first homicide. The first witness the agency found for me to work with was another witness to the first killing. They had me do a profile drawing (very uncommon) and made it very unusual as well by having the neck thrust backwards instead of forwards. The witness seemed traumatized by the incident, telling me a few times what they'd heard the suspect say as he went by. Detectives told me the next day that they believe this witness had lied, having me draw a person the witness had been having an ongoing argument with. It was believed the true suspect was a friend of this witness. drawing very quickly, making hardly any changes. I told the detective I was suspicious that the drawing was of no one in particular and the witness was just doing the interview to please the detectives. I'm showing these drawings to illustrate different ways that an artist can do false drawings in a real case. A witness can describe a real person who is not the suspect (sometimes an acquaintance or a celebrity), giving detailed and specific features. Another witness can make up a person who doesn't exist, using general features and making no changes. These drawings do not help identify a suspect, but it helps detectives establish the veracity of the witnesses. Corel just released Painter 2017. I was fortunate to be involved in the beta testing team again this year, and they've come up with some great new tools. In this video, I'll show the customizations I use for my workflow and how I've made my own palette drawers that clean up the workspace when I need to show it to a witness. I've just returned from six weeks in Baltimore at the Schuler School of Fine Art. Hans Schuler lived and worked as a sculptor in Baltimore in the early 1900s. His descendants still live and work in the same home and studio. They are dedicated to using materials and methods as closely resembling those of the Old Masters as is possible today. I started drawing with charcoal from casts and moved on to painting the same casts. After that, I did still life paintings for the remainder of the course. I enjoyed learning there and getting to see Baltimore, including a site nearby where one of my ancestors fought and died close to the city in the War of 1812. These are the cases I did for Snohomish County and King County this month. 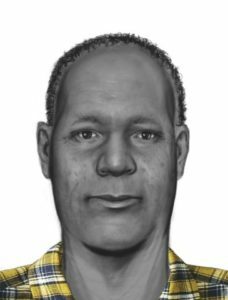 Snohomish County is trying to get leads on all of their unidentified remains cases, and have asked me to do these drawings for them. This case was listed as a white male 25 to 35 years of age on the original 1994 forensic anthropology report. 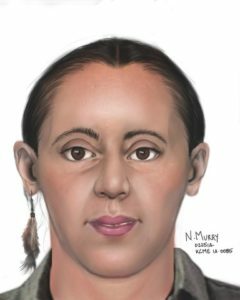 This recent examination of the case for this drawing has shown the victim is instead a mixture of African and European ancestry, and closer to 50 years of age. 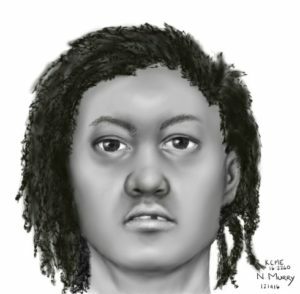 The Cold Case detective asked me to do drawings of the victim as primarily black and as primarily white. Minor changes were made only to the hair, ears, eyes, and nose of the victim in order to change the ancestry. The teeth are shown in the top right corner as he has spaces between all of his mandibular central incisors, which is somewhat unusual. This subject was a homeless man who had been given permission several years before his death to stay in a shed on a vacation property. The owner of the property interacted with the victim on an ongoing occasional basis until his remains were found in the shed in 2015. This witness was able to provide limited assistance in this reconstruction, making it a combination of a reconstruction and a composite drawing. This victim is a Native American found near a reservation in 2015. This is a white male found in Sultan in 2007. 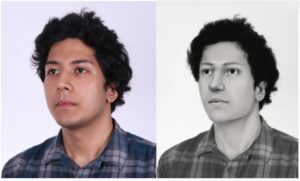 This white male victim was found in 1980. 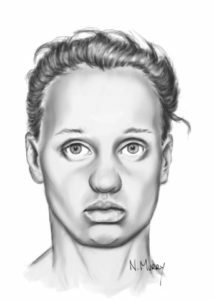 This victim is called Precious Jane Doe. She was found in 1977. Her killer was found and served time, but is now out of prison. She still remains unidentified. She's a young white female, 15 to 21 years of age. Her maxillary central incisors are crooked. This last case is the King County case. The remains of this white male were found on Mt. Si in North Bend WA in 2015, but it is believed he was up on the mountain since the 1990s. On April 7th, I went up to Snohomish County Medical Examiner's Office. They'd like to clear up all of their unidentified remains cases, and have asked me to do reconstructions for them. Three of their medical investigators and two detectives from the Snohomish County Cold Case Unit were there to watch the process. I was able to prep and photograph five cases that day, and I'd done one of their other cases earlier in the week at the King County Medical Examiner's Office. Washington's Most Wanted has updated this case recently, advising a private firm has been able to extract a full DNA profile from the remains. One step closer to finding out who she was. Over the past year, I've been honored to participate on the Corel Painter 2016 beta testing team. 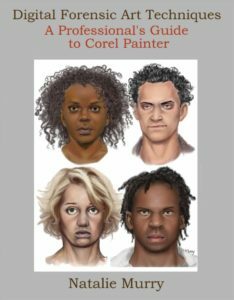 I use Painter for all of my forensic art work, and I promote it over Adobe Photoshop to other forensic artists. When the 2016 product was released, a few of my images were included. This image is on the website describing all the new features. 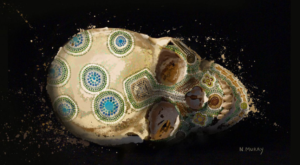 I've used some of the new brushes that give great splatter effects on this skull. I've painted the markings on the skull as my version of an Australian Dreamtime image that tells the story of a starry night and groups huddled around campfires while the storm rages. I did a screen grab of this image from a YouTube video on the site featuring their new brushes and effects. I painted this image from a photograph I took at the Chihuly Garden and Glass Museum in Seattle. Corel has used this image in their welcome screen that appears when you open Painter. 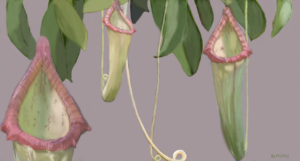 This painting was done based on photos of pitcher plants I took at the University of Washington botanical gardens. These are additional images I created with the 2016 brushes for the beta team. The first several are skulls using some of the new brushes and trying different approaches - liquid ink, watercolor, particle brushes. 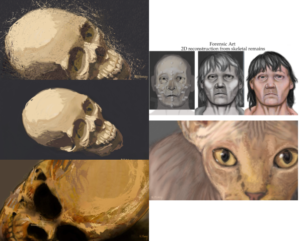 I also included a triptych of a 2D reconstruction case, and a drawing of my cat. I spoke this week with Dr. Kathy Taylor, the King County Medical Examiner's Office forensic anthropologist . She told me two cases I'd drawn for them resulted in identifications recently. The first case was one I'd drawn back in 2001. I think it was the first reconstruction I did for KCME. The skeletal remains had been found in Jefferson County in 1975, but KCME did not get the case for many years. 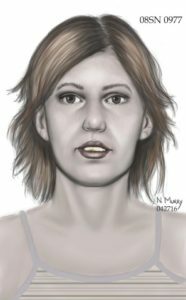 A Jefferson County cold case detective had recently revisited this case, and released the drawing I did to the media. They received a call from a woman in Alaska with a possible ID, which was confirmed through DNA. This set of images is the original sketch, and then a digital sketch I did some years later when my skills had evolved. The second case was another cold case from 1989 in Seattle. The detective there had compared the sketch I did in 2005 to several booking photos and found it to be similar. All the booking photos showed the same female, but she had been arrested under different names each time. The detective searched nationwide for other arrests with these different names, and found the first one had been in California. 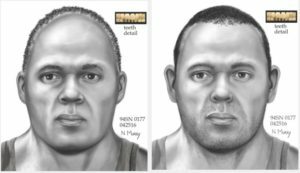 The case was released to the media in that state with my sketch and the booking photos, and they received a call that culminated with another DNA match. 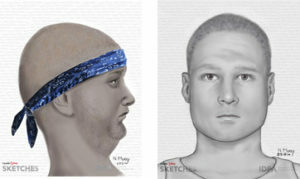 This set of images shows three of the Seattle booking photos and my original sketch. Now that the victim is identified, Seattle PD can proceed with a homicide investigation. I wrote an article that is being published in the September/October issue of the Journal of Forensic Identification. The JFI is the official publication of the International Association for Identification. 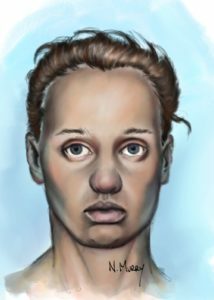 I have seen several postmortem drawings of unidentified people published where it is obvious that the artist just traced over the features of a morgue photo, and made adjustments (opening the eyes, removing facial trauma). This looks disrespectful to me. Unfortunately, the artist usually doesn't get very much to work with in doing this work, and often that poor quality photo is the only source for the image. Many scene and morgue photos are taken without regard to being an optimal image for an artist to work with. Frequently, they are taken while the photographer is standing at about the waist of the victim, and photographing up toward the face. 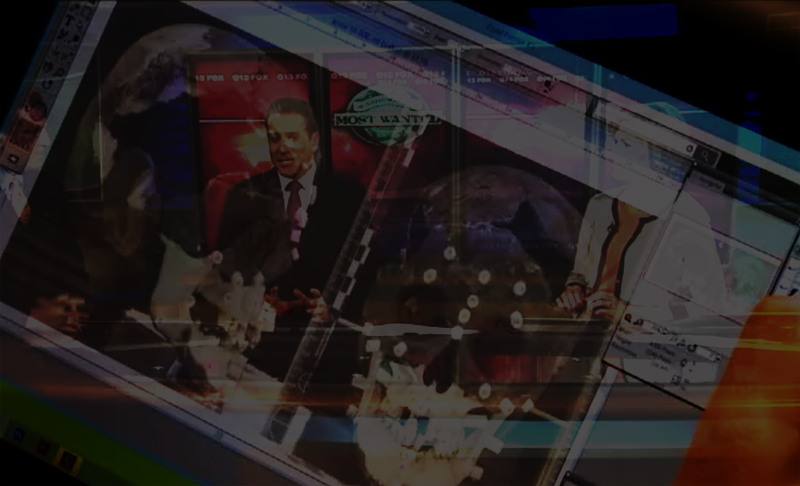 The features are distorted in this view. It would make more sense and be a better drawing if the face could be rotated into a natural position - the Frankfort Horizontal. This is the most natural position for the head in life. In the past, it was understood that you need a profile view in order to rotate the head. When working with just the awkward angle of the morgue photo, a profile is usually not provided. I have come up with a method to rotate the head using only an anterior (front) view. In this article, I explain that this technique isn't appropriate for all cases, but could be used in cases where the angle of the photo isn't too steep. I taught this at a workshop at the Forensic Anthropology Center at Texas State last year. 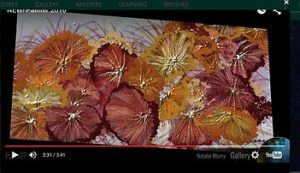 My intention with this article is to make this technique available for other artists who did not attend my workshop but have a case where this could be used. 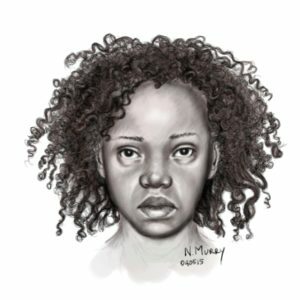 A recent case of a female unidentified in the Seattle area. I'm still playing with different methods of adding tone. In this case, the forensic anthropologist was able to show me a hair sample and a shirt that were with the remains. This case was featured on Washington's Most Wanted in July. Messing around on the Cintiq this week, drawing a female since I don't get much practice in that. Did her in black and white earlier this week and then added some color today. At the IAI conference this year, Don Stahl and I are co-hosting a day long workshop on Digital Drawing Techniques. Don will present how to draw eyes with Adobe Photoshop in the morning. In the afternoon, I’ll present how to draw hair with Corel Painter. Wacom will provide the Cintiq tablets for students to work on. It’s a great opportunity for attendees to brush up on digital drawing skills. Wacom published a new article on their blog about the workshops I’m teaching this year in Scottsdale and San Marcos. The Scottsdale workshop is a week of intense digital practice for drawing composites. It’s an intermediate class, and doesn’t include basic composite topics. The focus is on learning to use Wacom Cintiq tablets as a new tool for forensic artists. Each student will have a Cintiq and laptop for their own use all week, so they can learn and practice techniques and tools in Corel Painter. The San Marcos workshop is at the Forensic Anthropology Center at Texas State (FACTS). 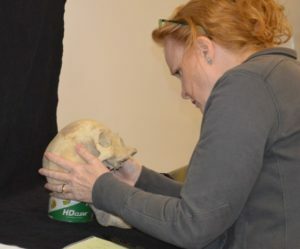 FACTS faculty and students conduct forensic anthropology research in human decomposition processes, the postmortem interval, human skeletal variation, and forensic osteological methods. 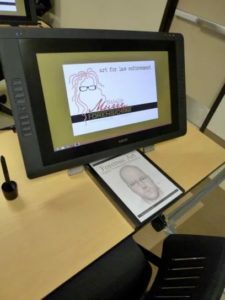 In keeping with the mission of the center, my workshop here is for forensic artists to learn to do postmortem drawings in a digital format with the Wacom Cintiq tablets. I’m honored that Dr. Kate Spradley from this facility will give a lecture during the week. I did a Google+ hangout with Techman Joe at Wacom. I had a great time, we had people all over the world attend. 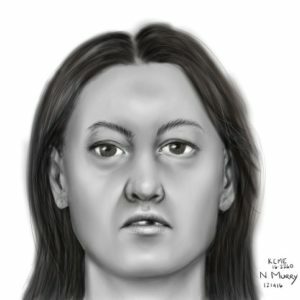 I’d done a faux composite with one of their employees last month, and I got to see the photo of the “suspect” during the hangout to see how closely my drawing resembled her. We also talked about the different types of forensic art, some of my recent projects, my workshops, and a little about how to get into the field. It was a fun hour and is now available to view anytime on YouTube. Thanks to the great folks at Wacom for the opportunity to talk about one of my favorite subjects – digital forensic art. 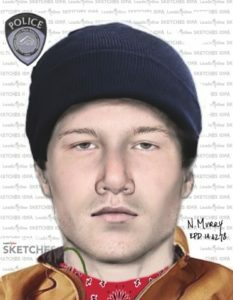 I did a composite with Kent PD on 04/03/2014 with a remote interview. The victim’s bike had been stolen as he sat nearby at an outdoor portion of a restaurant. When he chased the suspect down, the suspect slashed him in the face with a knife. 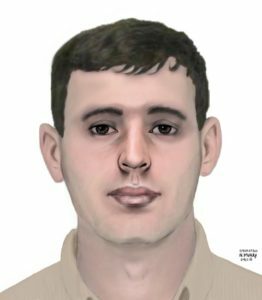 Two hours after I did the drawing, one of the bicycle patrol officers in Kent ID’ed the suspect as someone he’d had contact with in the past. The victim was later shown a photo montage which included the suspect’s photo, and made a positive ID. Here’s a link to the first of a few articles I’ve been doing with Wacom. We’ll also do a Google+ hangout after I get back from Scottsdale. 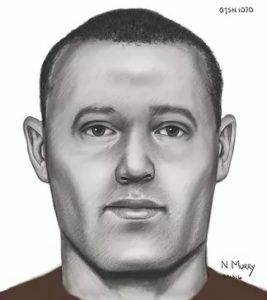 I’ve done a faux composite drawing with one of their employees there, but will not see what the “suspect” looks like until the hangout. I’m grateful to the folks at Wacom for providing loaner Cintiqs for all of my classes. 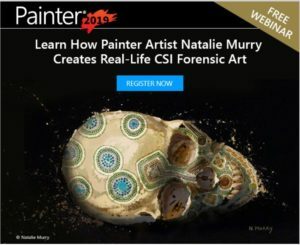 It’s an invaluable opportunity for forensic artists to try out digital hardware and software before making the decision to purchase on their own or to assist their departments in taking the step forward to digital work. Dr. Kathy Taylor contacted me to advise that national media outlets were calling the King County Medical Examiner’s Office about Cowlitz County’s last unidentified remains case. The remains were being exhumed after over 20 years, and she asked if I could do a reconstruction for them. Here’s a link to the original story. Reporter Parella Lewis from Washington’s Most Wanted has been following the story from the beginning. She was instrumental in raising funds for the exhumation. I finished the reconstruction and she asked me to come in to the studio and talk about the case. These are some photos that they took during the drawing portion of the interview. Hopefully the attention on the case can lead to an identification of the victim. She’s described as a Caucasian or Native American woman in her early 20s. She was about 5′ 4″ and slender. A witness saw her shortly before the crash and said she had long straight dark hair in a ponytail and high cheekbones. She was wearing a gray or black shirt and possibly a cowboy vest, jeans, and a feather earring.